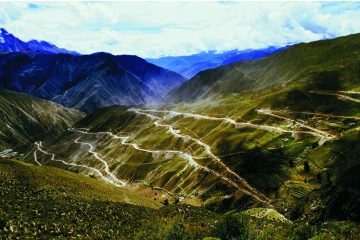 Tibet Tour from Guilin,Kunming (Guangxi,Yunnan)-By air or overland? Travel to Lhasa Tibet from Guilin/Kunming by air or by Road? Guilin, as known to all, is one of the most famous tourism destination in whole China. However more and more foreign travelers begin to combine Guilin-Yangshuo and Lhasa Tibet in their travel lists. Travel to Lhasa, Tibet from Guilin-southwestern China Guangxi Province is easy. Every year we arrange Tibet trips for those travelers from countries such as Germany, UK, France, Netherlands, etc European countries, or South and North American, South, east and southeastern Asian countries, etc). How to get to Lhasa Tibet from Guilin, Guangxi Province? Till now, April 2017, there is still no direct flight between Guilin and Lhasa. Here below, local Tibet travel agency tells you how to travel from Guilin to Lhasa in an economic way. get to Kunming by “D” Train, this is fast speed bullet train, D3493 9:47 am-6:02 pm or D 3495 2:48pm-10:20 pm. If you want to have a stop in Kunming-a modern “Chinese Spring City”, you can consider to visit Lake or “Stone Forest” nearby. And then you can fly to Lhasa from Kunming. 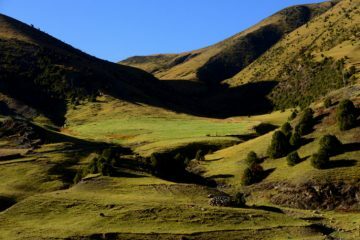 From Kunming to Lhasa, you can consider to take the overland trip via Dali, Lijiang, Shangri-La, Deqing, Yanjin, Mangkang, Zuogong, Lake Raog, Pomi, Nyingchi, Lake Draksum Tso, Lhasa. And it is around 2 weeks landscape adventure. For this trip, minimum group size will be 4-8 pax, in this way the trip will be cheaper. Otherwise flying to Lhasa is much cheaper. There is daily flight between Lhasa and Shangri-la, Lijiang and Kunming. However, sometimes there is cheap flight between Guilin and Chongqing and Chengdu, from these cities, you can also get cheap flights to Lhasa. What Tibet Travel Document Should you need for travel from Guilin, Kunming, etc to Lhasa, Tibet? This is a common question which we receive every year from travelers who are from these places.To travel to Tibet for all foreign travelers, it is not difficult at all when you have the right Tibet travel permits information. 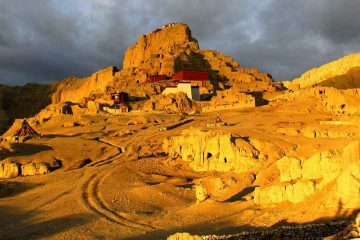 Please refer to “Tibet Travel Permits” to learn more. 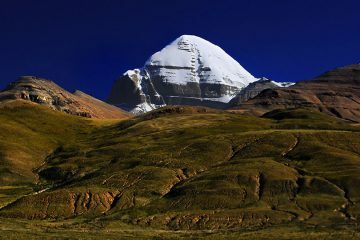 Tony authored this release, should you need any assistance for Tibet tour, welcome to contact with our Tibet tour company. Local Tibet travel agency in Lhasa is ready to support you!